Children hold a special place in my heart and this is why I wrote and self-published a children's book, "Alice and Friends". All sales proceeds from the book are donated to Jacob's Heart Children's Cancer Support Services. It may be purchased online at Amazon.com or Fastpencil.com. Alice and Friends is a story of a young girl, Alice, who teaches Max, a dog, about the importance of friendship. Through encounters with different animals Max and Alice learn how much happiness and fun friends can add to our life. The book offers colorful and bright illustrations paired with a lively dialogue between Alice and animals. The book will bring joy to both a young child and an adult reader. 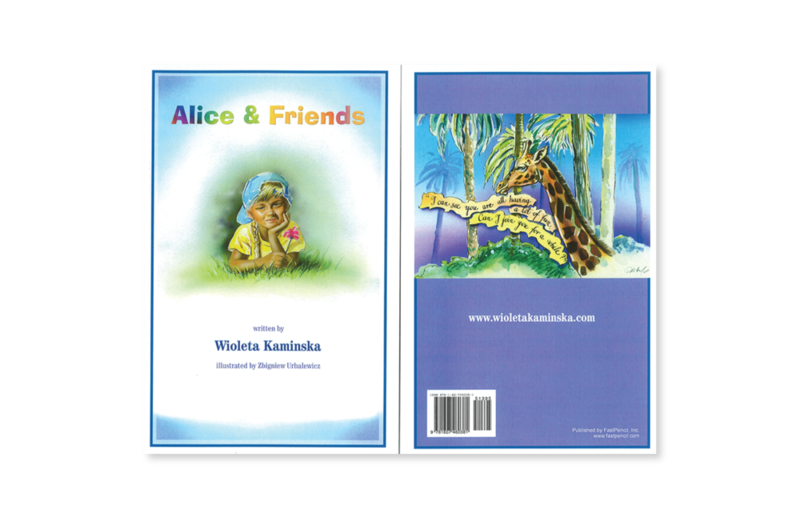 "Alice & Friends" is a "little" book with a very "big message",... a message that can be understood and valued by both children and adults. One will appreciate the dialogue between the cast of animals; sensitive and compassionate,... nurturing and supportive through friendship! The text is accompanied by charming drawings which capture the expressions of the characters in their habitat, enhancing the educational value of this "little" "big" book!" - Ira S. Friedman (College Instructor, Interior Design/Graphic Techniques/Drafting).